A mysterious killer has filled the streets of Gotham with the mutilated bodies of his victims. 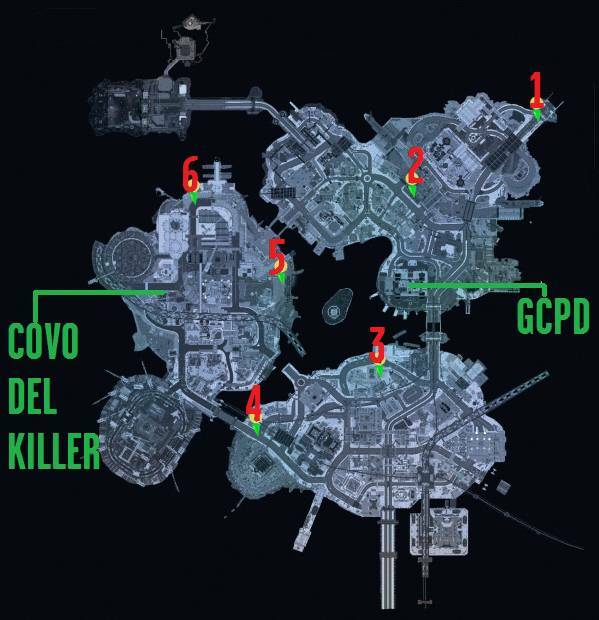 In this guide we will see where to find the bodies and how to find the tracks that will lead us by the killer to get the trophy / objective In line at the butcher! Analysis: Left ear, abdomen, right, left hip. Analysis: Left arm, chest, left knee. Analysis: chest, right arm, left toe. Analysis: Left side of the trunk, right eye, right arm. Analysis: right leg, abdomen, right, right side of the skull. Analysis: left leg, left shoulder, left little finger. Complete analysis of the bodies will unlock the hiding place on the map of the killer and can finally sever his career and get the trophy / objective In line at the butcher.